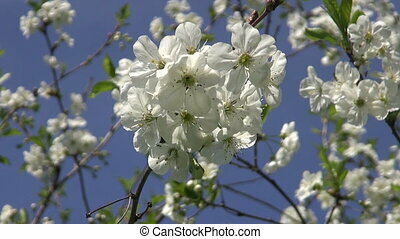 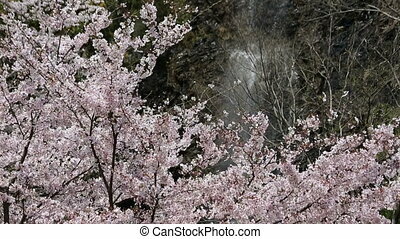 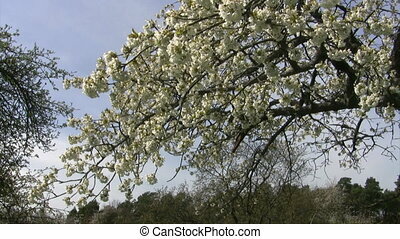 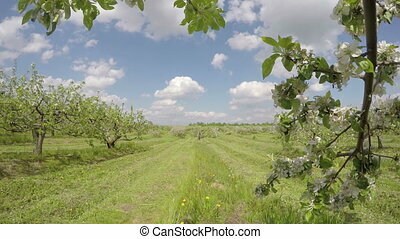 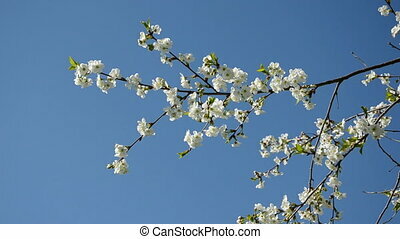 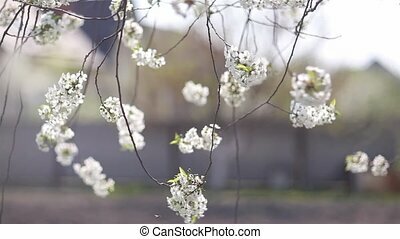 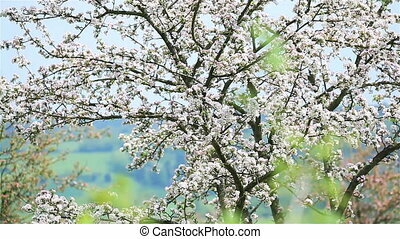 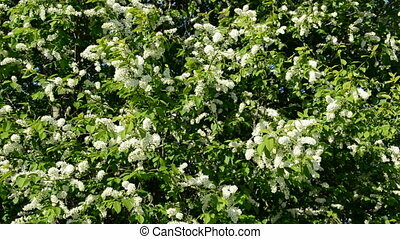 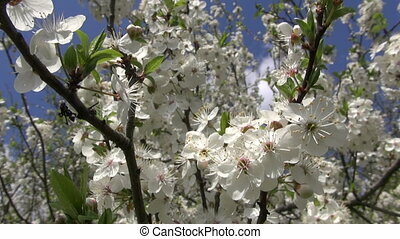 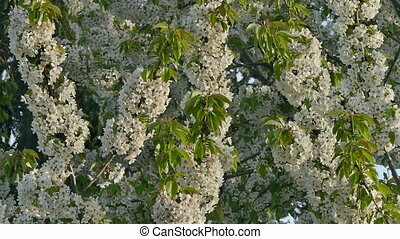 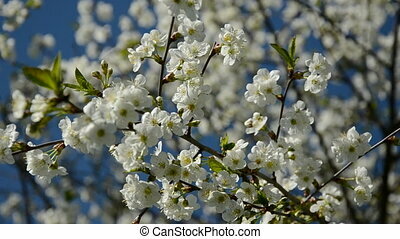 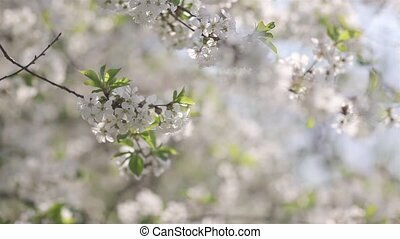 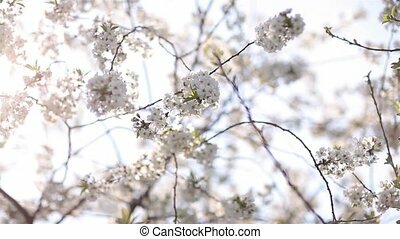 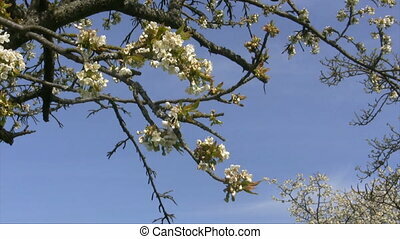 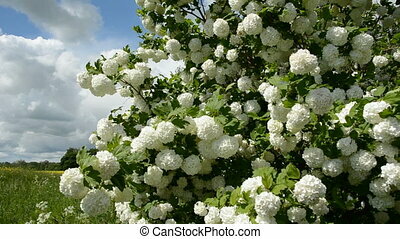 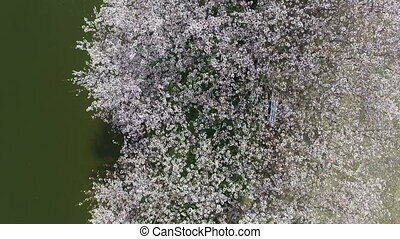 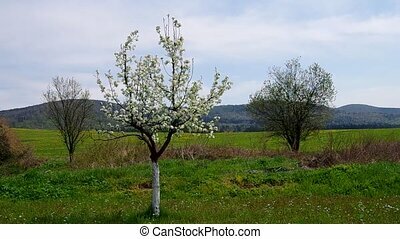 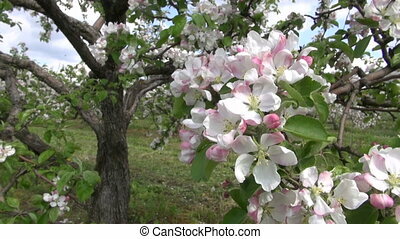 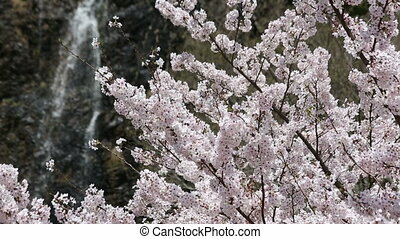 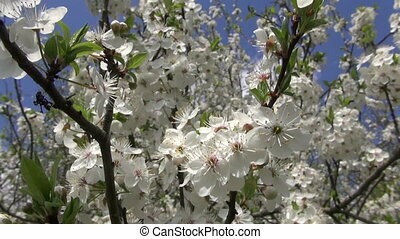 Beautiful cherry tree blossoming in spring time garden. 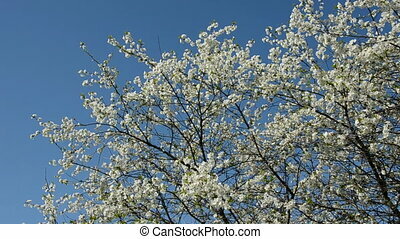 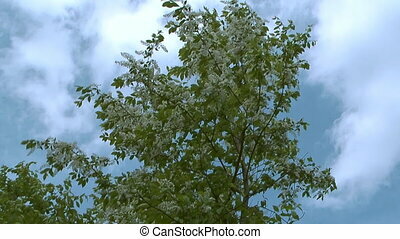 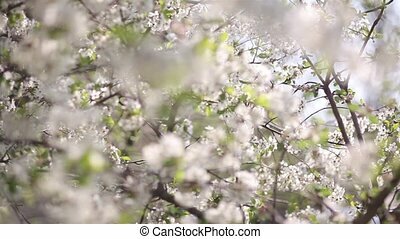 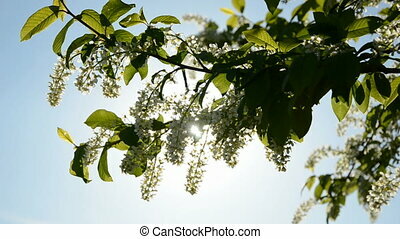 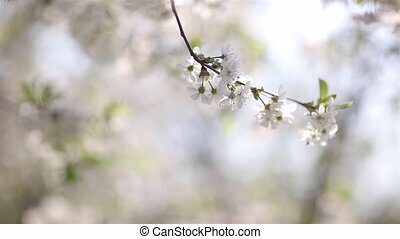 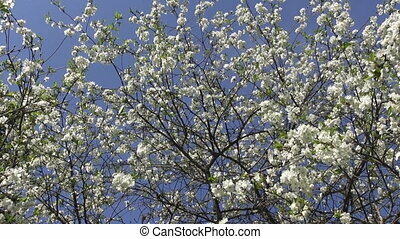 Blossoming bird cherry tree against sky and clouds. 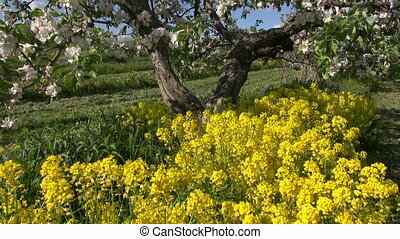 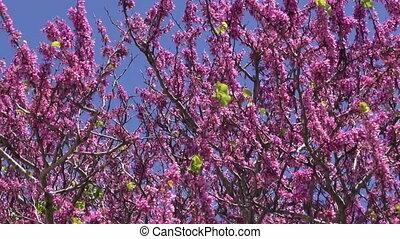 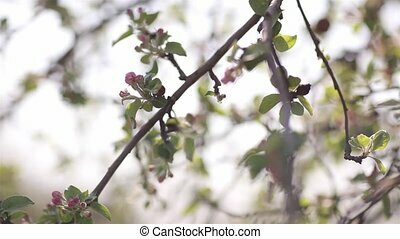 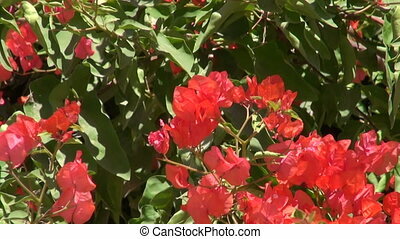 beautiful blossoming spring redbud tree in Rhodes island, Greece, background.